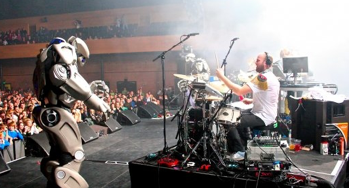 Nathan Curran AKA Tugg is a session drummer, most often know for his electronics and live drum fusion, touring live with the the Basement Jaxx. This month one Bandwagon Pro member gets an exclusive, one to one session with Tugg himself. Work on your session skills or learn the tricks of the touring game. Click claim and send over one example video clip of your drumming and Tugg and our team will pick the lucky drummer.